All first-time hunters in Nova Scotia must show proof of having successfully passed the Canadian Firearms Safety Course and Hunter Education course, and have a Wildlife Resources Card in order to purchase a Nova Scotia hunting license. Students must be a minimum of 14 years of age to take the online Nova Scotia Hunter Education Course. Students that choose the classroom course must be 12 years of age. All hunters and any accompanying persons must wear a cap or hat, shirt, and vest or coat of hunter orange or camouflage orange that is plainly visible from all sides. Hunters wanting to use a crossbow in Nova Scotia must successfully complete the mandatory online crossbow education course. To be eligible for this online course, you must hold a valid Wildlife Resources Card (WRC) with either a Hunter Certification (HQ or HT) or Bow Certification (B). You have to be 16 years of age or older to hunt with a crossbow. 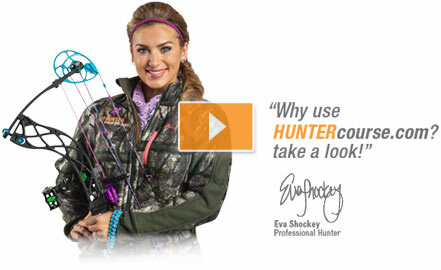 Crossbow hunters must wear either hunter orange or camouflage orange when hunting. For a more complete listing of Nova Scotia's hunting license laws, hunting regulations, or hunter education requirements, please consult the Department of Natural Resources website.